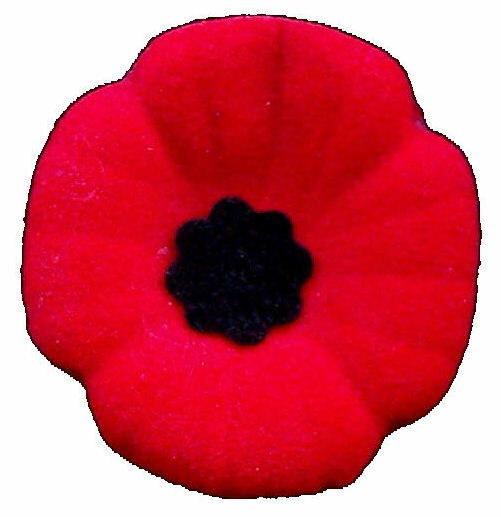 This website is a place of remembrance dedicated to all who served with the 4th Canadian Mounted Rifles in the First World War. Being a respectful and honouring point of focus for those having relatives or research subjects who served at any time with the 4th CMR, the website has grown out of discovering that my great-grandfather's brother, Cpl. Frank Forsdike, served and died with the Regiment. As such, I do invite you to click on About to read the amazing story behind the incredible events that eventually led to Frank's previously unclaimed medals being presented to his daughter, 92 years after Frank's loss. Pivotal to this website are the In Memoriam pages. There you will find the names of all of the men currently known to have served with the Regiment - some 4,513 in all - and the opportunity to remember and represent these men today, whether you are a relative, a researcher or just feel the need to step up in an act of remembrance. Please do make Contact and together let us honour their memories by adding our names to symbolically stand alongside theirs in remembrance and thanks for their service. It is my hope to provide some tangible link to the men, the places and the Memorials associated with the Regiment. So, please, explore and enjoy the site (no costs are involved anywhere on this site), feel free to contribute, and do check the 'Latest News' panel at the bottom of this page and the News page for updates, as this website is most certainly a work-in-progress project. Through this website let us come together and say that whilst they are gone, they are not forgotten. I feel very strongly about that. With our common bond I do look forward to hearing from you soon, as together "We will remember them." Demographic breakdown: this page provides a demographic insight into the real lives of the Regiment's full numbers (4,513). 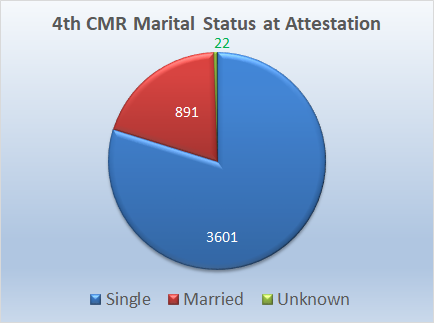 Data includes age at attestation, where attested, occupation, religion, place of birth / nationality of origin, prior military experience and height statistics. Also included are overviews of the most common first name, hair colour and eye colour. Other interesting facts are included, which will tell us how many pairs of brothers, and twins, signed up, marital status, and the youngest and oldest to sign up. The culmination of several years of detailed research, using the regimental nominal roll, coupled with the material digitised in the Library & Archives Canada databases, the demographic breakdown provides an interesting insight into the social backgrounds of the men of the Regiment. The Demographics page was last updated December 12th, 2018. This is the eagerly awaited sequel to Malcolm MacPhail's Great War (see below), and sees us again join fictitious Canadian intelligence officer Malcolm MacPhail, this time in the last 100 days of The Great War. This is a fast moving and highly detailed account of those final months of the war, and author, Darrell Duthie, has once again put us in the heart of the action, taking us through the massive allied advances is those final 100 days from "Mac" MacPhail's perspective. The 4th CMR makes a welcome, if brief, re-appearance in the enthralling narrative. Even though we as readers know the conflict's outcome, Darrell has very ably placed us alongside Mac's involvement in the thrust and counter thrust as the German lines crumble and the allied forces push their sometimes uncertain advances to the limits of men and machine. This is a novel set on the Western Front in 1917 and 1918, and features, in its latter stages, an appearance of the 4th CMR,with specific spotlights on two of its Captains: Beecher Poyser MC and Thomas Dixon MM MC. Taking us through the hell that was Passchendaele and beyond, Darrell more than ably puts us inside fictitious Canadian Corps intelligence officer Malcolm MacPhail's world, as his tactical mind and loose tongue see him both applauded and on the wrong side of his own senior officers. Most certainly the pace is quick, the narrative absorbing and the storyline wholly engaging. I highly recommend these books, as they do put you into the thick of the CEF action in the mid to final stages of the war. Darrell does a fantastic job of maintaining the pace and tension of actions at the front at that time. The extent of the research is breathtaking, as is evident in the locations, the command hierarchy and the detail of the actions described. If you enjoy WW1 fiction, these books are for you, and would be excellent gifts for somebody you know who is interested in the First World War. These books are available through Amazon: click here for links to Amazon.com and Amazon.co.uk. For fuller descriptions of these books, please see the Amazon listings for them, or the Links > Bibliography page on this website.